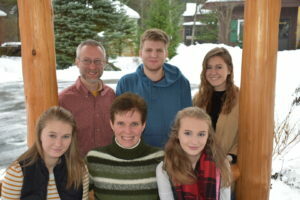 Phil Huber and his family relocated from Syracuse to Inlet to serve as pastor of Inlet Community Church in June 2014. Phil serves as a bi-vocational pastor and works full time at Fastrac in Old Forge. His wife, Sue, is a Nutritional Therapy Consultant with Huber Family Wellness but also manages the Old Forge Farmers’ Market and helps out at the Inlet Public Library in the summer. They have four children, Carissa is a student at Siena College near Albany. Josh is a student at SUNY Buffalo. Amanda and Katie are high school students at Town of Webb. Phil received his BA in Bible from Cedarville University and his MDiv from Trinity International University. Phil enjoys hot tea, good writing, fresh donuts, creative puns, archaeology, crackling fires, scenic vistas, and all the Adirondacks has to offer.